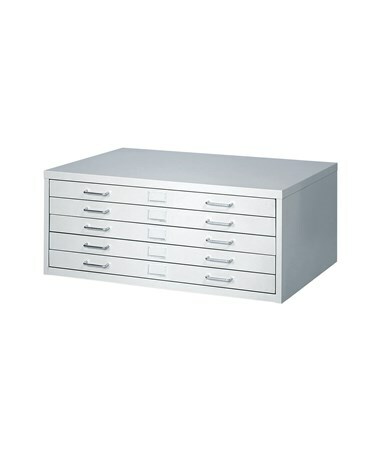 The Safco Facil Steel Flat File is a five-drawer file that provides an economical solution for all non-archival storage needs. With a weight capacity of up to 60 pounds per drawer, it is the perfect document storage for art, engineering, and other large documents. 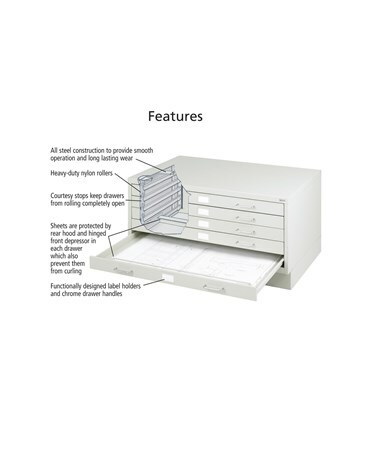 It can also hold up to 300 active, 450 semi-active, or 600 inactive sheets. 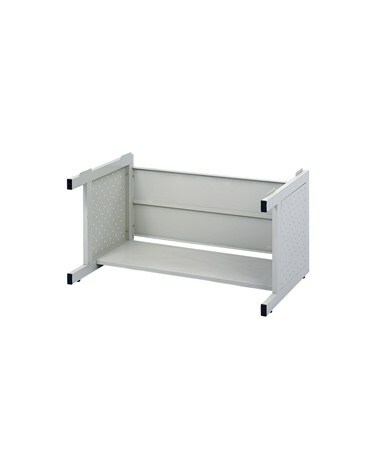 Each drawer includes heavy-duty nylon rollers and courtesy stops that keep it from rolling completely open. In addition, it comes with a rear hood and a hinged front depressor that prevents documents from curling. 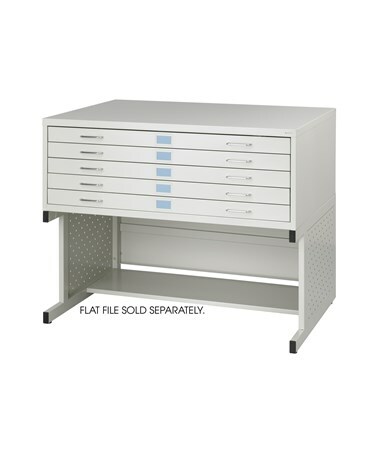 This Safco flat file can be stacked up to two cabinets with the optional low base and one cabinet using the high base. 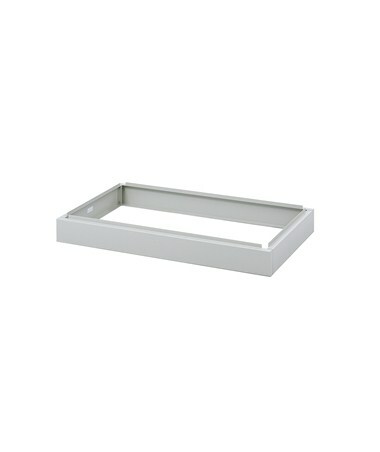 It is steel constructed with a light gray powder coat finish that provides durability without compromising style. It is also GREENGUARD certified and is easy to assemble. 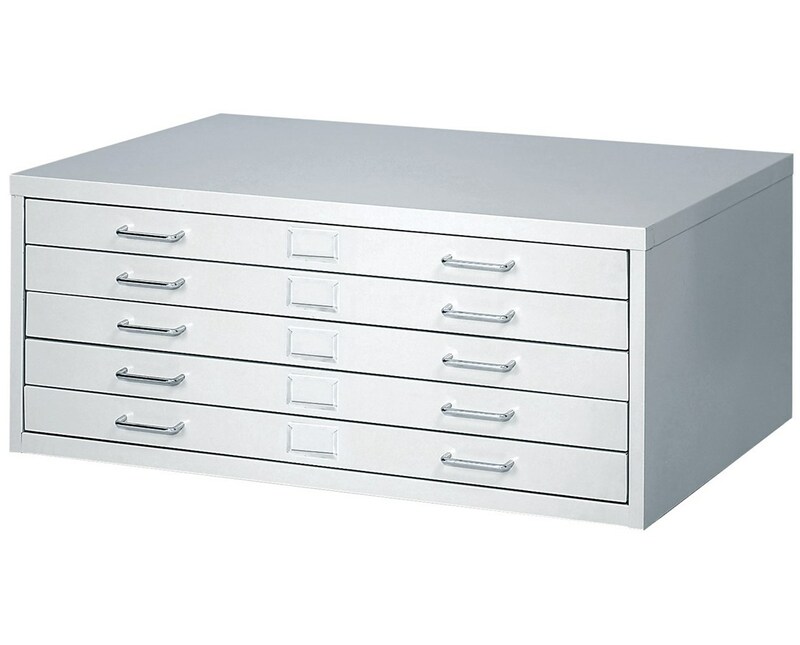 The Safco Facil Steel Flat File is available in two different sizes. Please select your preference from the drop-down menu above.